Federal prosecution of local medical marijuana dispensaries continues, despite pledges from the Obama administration to stop. 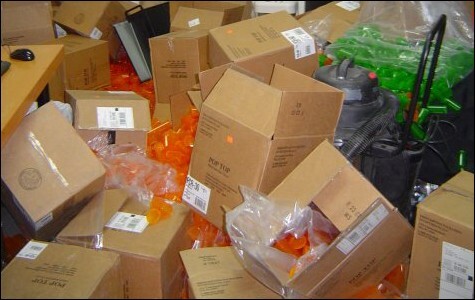 The debris left after DEA agents raided Hayward medical marijuana dispensary We Are Hemp in 2008. For Brian Everett and brothers Winslow and Abraham Norton, former operators of a medical marijuana dispensary called the Compassionate Collective of Alameda County, the "Ogden" memo offered hope. Released October 19, 2009, the memo, written by Deputy Attorney General David W. Ogden, issued new guidelines for enforcing the Controlled Substances Act, the federal law under which marijuana — including medical marijuana — is illegal. The memo, which echoed statements made by President Barack Obama during his 2008 campaign, seemed to signal a change in priorities for the feds: The Department of Justice would no longer focus its resources on prosecuting "individuals whose actions are in clear and unambiguous compliance with existing state laws." Under California law, as currently interpreted in Alameda County, and within the Attorney General's office, distribution of medical marijuana is legal. So why did the federal government take Brian Everett and the Nortons to court last week? The answer has to do with the complex and unpredictable relationship between state and federal law when it comes to medical marijuana. Federal and state laws are in conflict, but that doesn't mean it's obvious when a dispensary will be busted. In 1996, Californian voters passed Proposition 215, the Compassionate Use Act, which allowed patients with a doctor's recommendation to grow and cultivate marijuana for personal use. Prop 215 made California the first state to legalize medical marijuana. Senate Bill 420, passed in 2004, expanded the scope of the law, and allowed for the creation of cooperatives, or collectives, to facilitate the distribution of marijuana to patients. That same year, the Compassionate Collective of Alameda County opened for business in Hayward, and by 2005, the Alameda County Board of Supervisors had passed an ordinance allowing the collective and two other dispensaries to operate, with the Alameda County Sheriff's Department in charge of licensing. The CCAC was the largest of the three dispensaries, and when California began taxing dispensary revenues in 2006, the collective paid roughly $1.2 million in sales tax on $21.5 million in revenue. In 2007, it paid roughly $4 million on $26.3 million in revenue — in a business year cut short by a federal raid. The Supreme Court has twice affirmed the right of the federal government to supersede a state's law, meaning that the government can raid a medical dispensary any time it wants. On October 31, 2007, the Drug Enforcement Agency raided the Compassionate Collective of Alameda County, seizing several hundreds pounds of marijuana, in addition to $385,000 that had been put into a bank account to pay sales tax, according to the collective's manager, Brian Everett. The two other dispensaries permitted in the area were also raided, but no indictments were brought against them. The owners of CCAC, Winslow and Abraham Norton, were indicted on 21 felony counts, including intent to distribute more than 100 kilograms of marijuana, maintaining a drug-involved premises, money laundering, and a firearm charge — stemming from the armed security guard they were mandated to keep on the premises. Their father, Michael Norton, and Everett were subsequently indicted as well. Each faces a minimum sentence of fifteen to twenty years in prison, with a maximum of lifetime incarceration. The raid came during the waning days of the Bush administration, as signals from Obama of a soon-to-come change in federal marijuana policy made the future of enforcement uncertain. During Bush's presidency, DEA agents conducted more than 200 raids in California alone. But even with a new administration in place, the federal government's approach to medical marijuana has remained inconsistent. Since 2008, federal raids have occurred in Los Angeles, San Diego, Bakersfield, and other cities that license medical dispensaries. As with the previous administration, the selective enforcement of federal laws is something of a mystery. James Clark, a California attorney specializing in cannabis defense, said that the decision to raid a dispensary contains a political element as much as a legal one. "They will investigate virtually anybody who opens up and makes themselves obvious," he said. "And if they think they can gain political press by executing a bust, if they can say it's tied to organized crime, if they can say, 'This isn't compassion, this is profit,' then they go ahead with it. Cases where people have a proven track record of helping the sick, they tend to stay away." The CCAC made a perfect bust for propaganda, according to Clark. It was the largest of the three dispensaries in the area, and its multimillion-dollar revenue made it easier to lodge accusations of operating for profit. But Everett denies such a claim. "We were one of the biggest operations," he said. "We could have raised prices on our patients, but we felt that would be the antithesis of who we were. Our mission statement was to provide the highest quality medicine." The press release put out by the DEA about the raid mentions commercial properties purchased by the Nortons, as well as two Mercedes Benzes. Special Agent Javier Peña is quoted as saying, "Today's enforcement operation once again enlightens the public of the true nature and motive behind marijuana distribution centers — money." Laura Sweeney, spokesperson for the Department of Justice, said that the government was not selectively enforcing laws. "It's not about any selective enforcement actions," she said. "It's about using our resources wisely against activities involving marijuana on large-scale drug traffickers whose conduct is often inconsistent with both federal and state law." Sweeney said that she was prohibited from discussing specific cases, so it remains unclear as to what state law the dispensary broke. Jack Gillund, spokesperson for the US Attorney General's Office, Northern District, echoed Sweeney's comments, saying, "The DOJ, which is committed to enforcing the Controlled Substances Act, is focusing its resources on significant drug traffickers whose conduct is often inconsistent with state and federal law." Profiting from marijuana sales is one way that the CCAC could have violated state law. Guidelines issued in 2008 by Attorney General Jerry Brown said that dispensaries were permitted to charge money, so long as they didn't charge more than what they needed to cover costs. And the bigger a dispensary gets, according to Sara Zalkin, a San Francisco attorney specializing in marijuana cases, the more likely the federal government is going to find it out of compliance with state law. "There is no legal so-called dispensary in California state law," she said, referring to the fact that neither Prop 215 nor SB420 makes explicit mention of cash transactions. "Patients may collectively associate. But then, the more people comply with that, you get an errant US attorney who says they're hiding under medical marijuana and they're not complying with state law, and they raid you." Bob Swanson, who worked for Alameda County Supervisor Nate Miley during the time the medical marijuana ordinance allowing the CCAC to operate was passed, believes the dispensary operated legally. 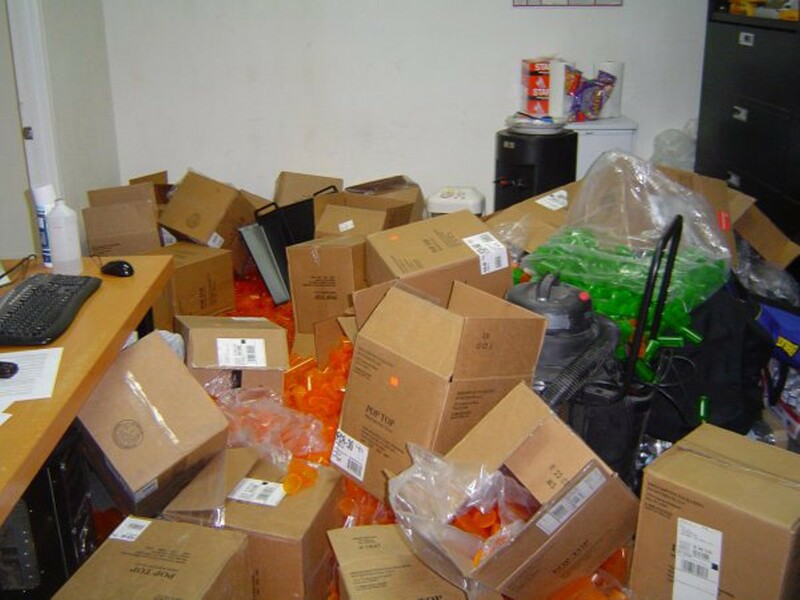 "As far as our office knows, they have broken no state laws," he said. "And I would dare them to show me one that they have. The fact that the sheriff didn't arrest them shows that they weren't breaking state law." Brian Everett and the Nortons are hoping that fact can keep them out of prison. "What we were doing was not wrong, and it was not illegal," said Everett. "We're young, 27 to 30. We're too young to be defeated." East Bay residents complain of regular overflights from plane that apparently works for feds. Regulators for county, regional, and state agencies say the city and the developer of the Oakland Army Base have yet to reveal plans for how they will control toxic emissions. With more than two-thirds of students borrowing money for their educations, student loans are now the largest type of consumer debt. Is this another crisis in the making?